*Imported bottles with America-Made BPA/EA-free Tritan plastics from Eastman. 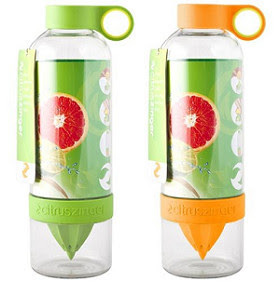 The Citrus Zinger typically produces one-two drinks per Zing. In order to return to a tasty concentration, add new ingredients after two servings (or 56oz.) have been enjoyed. Empty the Zinger completely, discard used ingredients, and clean before Zinging a tasty new batch of water.